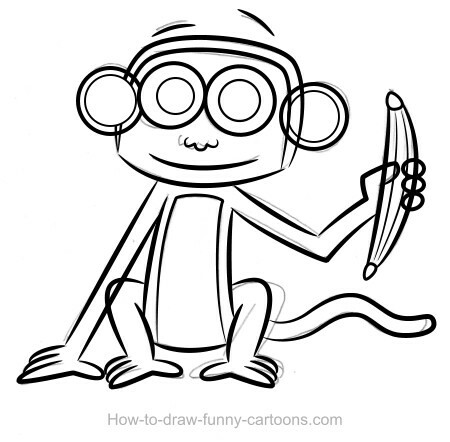 Monkey drawings are not always easy to create. This cute animal might be similar to man, but sometimes it can be tough to come up with the proper posture or facial expression. I know that it's one of the animals that I find a little bit tougher to achieved. For this tutorial, I decided to create a simple character with large eyes and a funny face. 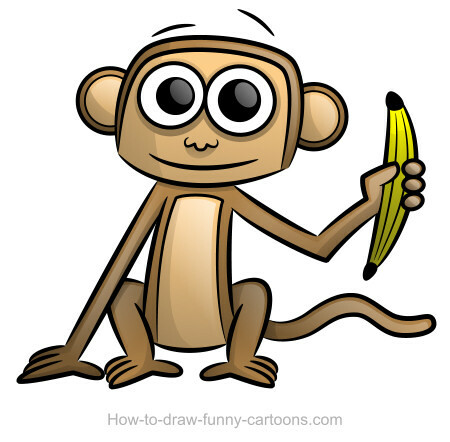 Of course, I added a banana to simplify the work on the posture. With something in one hand, it's easier to come up with a relevant and believable posture. 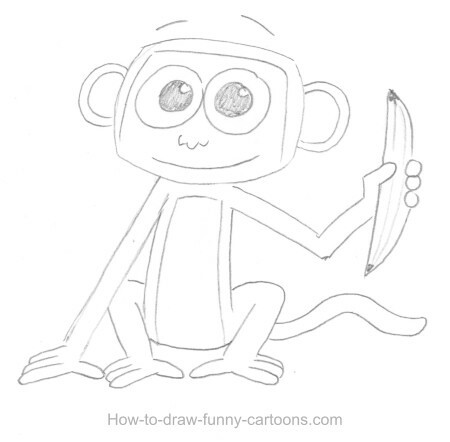 First, you must sketch the cartoon monkey using a simple pencil and a piece of paper. Nothing too complicated! If you are equipped with a tablet, you can render the drawing directly to your computer. Personally, I prefer to use a good old pencil even if I do have a tablet. Next, import your sketch on your computer either with a scanner or by taking a picture of it. Once this is done, open your vector software and import your digital file. Select your digital pencil and add a few dark lines on the character. Once the lines are completely covering the illustration, create a new layer and add plain shapes behind the lines to add color to the drawing. Plain colors are nice, but you can already add a simple effect by using the gradient tool. Simply select each shape individually and use the gradient tool to apply a simple shadow. Make sure that the bottom part of each shape is darker. To create more efficient shadows, your need to add more shapes on areas that are affected by light. These new shadows are nice, but right now everything is too dark to be effective. Select the transparency tool and partially hide the top part of each shape created in the previous step. Shadows are softer and the drawing is now easier to read. Shadows are great, but adding reflection can also add more depth to the illustration. 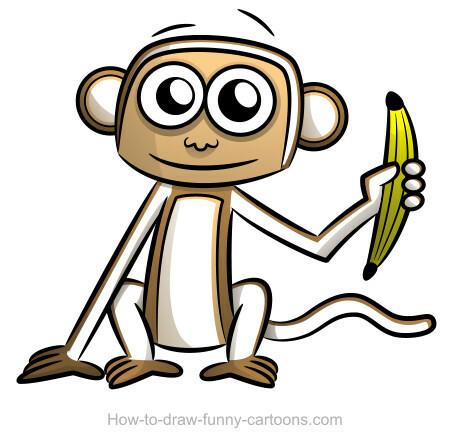 Duplicate shapes already created to represent the monkey and scale the new shapes a little bit. Add a plain color (white) and select the transparency tool. Just like you did with the shadows previously, partially hide the bottom part of each shape so that the top is slightly white. This will give the illusion that light is bright and the character more visible. Finally, you can also change the color of the outlines using a tone similar to the shape near each line. Black outlines are nice, but not always pretty on cartoon characters like this one. I hope you had fun creating this cartoon animal. Don't hesitate to draw more monkey drawings. Practicing is the only tip I can give you to become even better at drawing! Enjoy!